Yesterday, I shared this recipe for savory cheddar cheese and chive popovers . . to say I’ve been on a popover kick would be an understatement. I thoroughly tested a few methods and after I perfected a simple way (NO blender or mixer) of making popovers that worked, I wanted to experiment with different flavors! If you’ve been too intimidated to try making popovers, DON’T BE! You can make these!! And you don’t even need a popover pan; you can use a regular ole muffin pan. But because I love you guys and want to spread the popover love and joy (and because Amy gave me this fabulous idea), I’m going to giveaway a popover pan to ONE lucky reader! Read the details under the recipe card below! So, let’s talk room temp ingredients for a second. With my savory popovers from yesterday, I did not use room temp eggs or milk. And I think they still came out great! With today’s recipe, I did use room temp eggs and milk and really didn’t see much of a difference in appearance or taste. I did pierce the sides very carefully right when they came out of the oven this time so I think that did help tremendously so they don’t deflate. Here they are right out of the oven. Just look at these Cinnamon Sugar lovelies. Puffy and proud! The popover in the middle was filled half way and the popover in the front, I filled the popover cup 3/4 of the way full. Now, I could have stopped here as these can easily be enjoyed with a touch of butter and jam . . or you can dust on some powdered sugar . .
And then. . yes. . drizzle on some slightly melted Nutella. I've tested recipes using both 2 and 3 large eggs, at room temp and not at room temp. Using 2 eggs yields popovers that are more light and airy. I preferred this with these sweeter popovers. Preheat the oven to 450°F, and thoroughly grease your popover pan. Melt the tablespoon of butter in a microwave safe bowl and set it aside to cool slightly. Break the eggs into the same bowl and whisk gently. Then whisk in the flour, salt, milk, cinnamon and vanilla extract until blended; a few lumps are fine. When they are brown and crusty, remove them from the oven, and make a small slit in their sides with a sharp knife. Dust with powdered sugar and drizzle on some melted Nutella and enjoy immediately. I’m making these again for Easter. . and will be sharing yet another flavor combo next week!! So, stay tuned!!! And if you want a chance at entering the giveaway for a popover pan, simply leave me a comment below letting me know what you like more: Sweet or savory? The giveaway is sponsored by me!!! I will ship one popover pan to the winner!! Please make sure the email address you leave is a valid one. Giveaway ends Friday, March 13 at midnight EST. I have tried several of your recipes and really enjoyed them. I can’t wait to try the cinnamon popovers. Awh thank you so much, Patty!! These look so yummy! Sweet is my weakness! 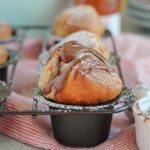 You had me at Nutella, I adore these popovers! 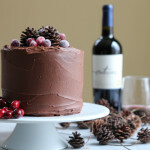 I am definitely a savory but my husband craves anything sweet! Anything sweet can’t last in the house longer than minutes it seems! I know these popovers would be a winner, winner POPOVER dinner! I absolutely love the look of these and your photos are gorgeous!!! You are killing me! 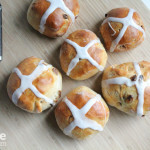 I love the idea of having these for Easter! You have inspired me once again, Alice!! Thank you! Awh thank you Annie!! YOU inspire me all the time! I adore popovers. I actually have a popover pan at my house and it’s been a while since I’ve taken it out and used it. This looks like a great way to start the weekend. That drizzle of nutella on top is perfection! I’m liking your popover kick, Alice! Kind of interesting that the room temp eggs didn’t make a huge difference. I’m a food nerd, so I wonder about all this stuff. Both batches look perfect to me! Mir, I know right??!! I read that it did make a difference and it makes sense that it would . . but when I tested them . . it didn’t seem to make that much of a difference. . I’m testing one more flavor combo today or tomorrow so I will keep you guys posted!!! Girl, you are taking me STRAIGHT to popover heaven! I think I might just love the sweet ones more…but that’s because I am a certified nutella addict. You understand, right? Wow two amazing popover recipes! I’m in love, Alice! I think these steal my heart because of the nutella. I just can’t get over how gorgeous these are! I definitely need to invest in a popover pan so that I can make these cuties! Gayle, consider yourself entered into this giveaway!! Oh. My. Gawsh. You seriously just reminded me that it’s been WAAY too long since I last had a popover and I am literally drooling over how huge and gorgeous these look! And uh, where has that killer combo of nutella and cinnamon sugar been my whole life?! I need these. The end. 🙂 Pinned! Personally, savory. For the rest of the family, though, popovers have to be sweet. I would LOVE this pan. I use a muffin tin, but the results are meh. Sarah, awh, I LOVE this comment and beautiful family memory!!! 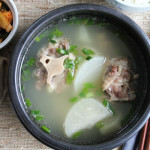 I *LOVE* how we can sometimes connect food with special memories . . so special! thanks for sharing!! Thank you, David! 🙂 Your bacon cheddar popovers finally got me excited and ready to use my popover pan. . which I had for a few months and never opened it! While I haven’t tried the savory ones yet, I think I’m gonna start with these! Love Nutella! They look awesome!!! Aida, you DO!!! they are so good!! Thanks for the visit!! Hi Sunny! do you have a recipe to share? is the goat cheese blended in the popover or eaten with the popover? Dude, I’m intrigued!! Sweet!! All the way. However, I’d happily test out savory. It’s really hard to choose between sweet and savory popovers. Especially when both of your recipes are making me drool!!! I don’t own a popover pan and would love to win this! So my sweet tooth is telling me to go with the sweet popovers!!!! Savory but have never had a sweet one! Such a hard decision!! I’d have to go with sweet. Although, I’ve only had popovers a couple times and I had no idea there were savory versions and your recipe looks amazing! I’d be most excited to try that savory option first! Those look like a pillowy dream in my mouth! Oh la laaaa – I’m into both savory and sweet. It’s hard to decide but I know I need to make these soon! Abby, dude, if you can find a way to veganize popovers . . I would think the no eggs part would be the most difficult. . oh my gawd, that would be HUGE!!! Sweet popovers? Girl you have totally won my sweet tooth. I love that you tried the different temps for both and saw no difference. That means I can be lazy. I’don’t have to try sweet. Seeing I have a huge sweet tooth, am gonna have to pick sweet popovers over savory ones – I would be all over these sweet cinnamon sugar ones! They are lovely indeed – no – more than lovely – they are freaking fantastic!!!! I would have to sub the nutella for melted chocolate though but wow! And thanks for this generous giveaway Alice! I love a good savory popover and all of its cheesy goodness! I love sweet, I also love popovers and had no idea they could have such yummy ingredients with them, I’ve just had it traditionally with butter. I have a big sweet tooth!! What a beautiful popover, Alice! So delicious… and the Nutella drizzle looks phenomenal! Awh thank you so much, Kelly!! Sweet! Unfortunately I am drawn to sweet. 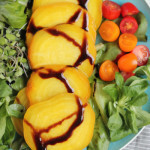 Love the idea of savory but tend to cook more on the sweet side. 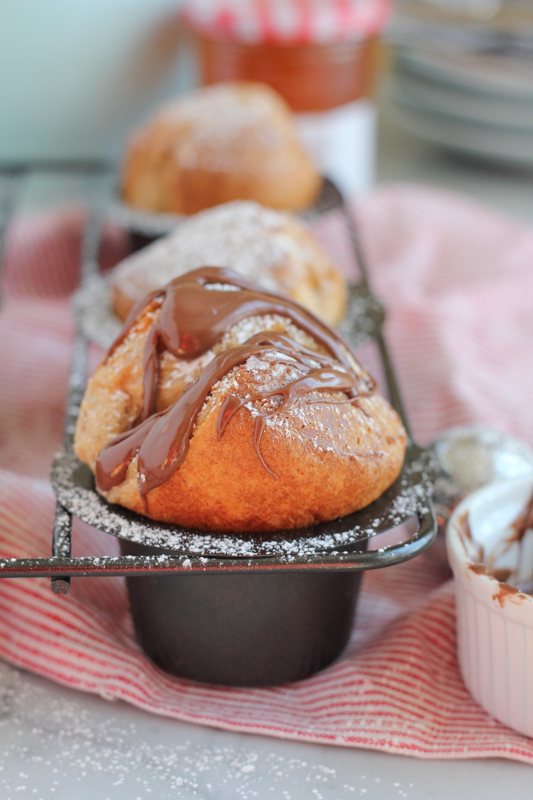 Alice I have never had popovers but my god they look so delicious especially with that nutella! And my vote goes to sweet because that nutella is calling my name! LOVE! Natalie, they really aren’t!!! 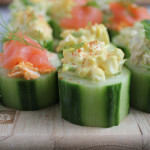 You’ve got to try this recipe!! I’m going to test these again soon using a regular muffin pan too. .
Sweet savory sweet savory?!? ?’ Oh how hard to decide! Ok, savory! Can’t wait to try your amazing recipe! *Sob* curse me for living in Canada and disqualifying me from this giveaway! Your popover posts are seriously making me want to run out and buy a popover pan. 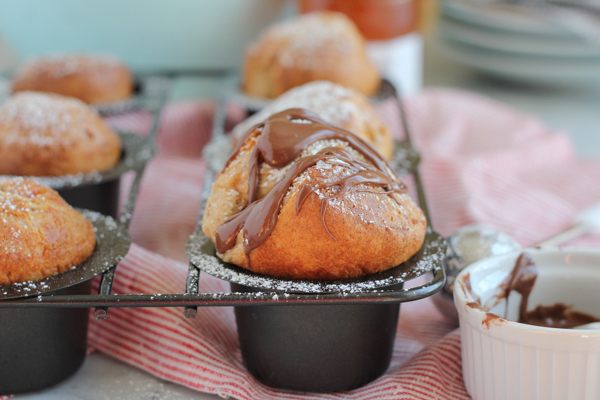 These are gorgeous, Alice, especially with the Nutella slathered over top. Yum! Sweet is my weakness especially chocolate. My mouth is watering just looking at these! I wish I could snap my fingers and have some appear in front of me! Oh sweet sweet sweet dear!! These need to happen!! And I am totally entering for the giveaway coz I want this pan!! I love sweet over savory (duh!)!! You are a genius, woman! Love this twist on popovers! I KNEW I’d love these! And drizzled with Nutella??? Swooning. I’ve just discovered you via Instagram and now I’m squeezing all over myself! I’ve just discovered you via Instagram and now I’m squeezing all over myself!!! Hooray! Thanks for stopping by Lis! These look amazing and I love how easy they are! The popover pan is too cute 🙂 When it comes to food, I’m usually that weirdo who prefers savory to dessert, but popovers remind me so much of donut holes, so I have to go with sweet! I’d love to try an nut butter/jam variety! I’m a sweets fan, I need chocolate at least once a day! I never have seen sweet flavoured pop overs before. 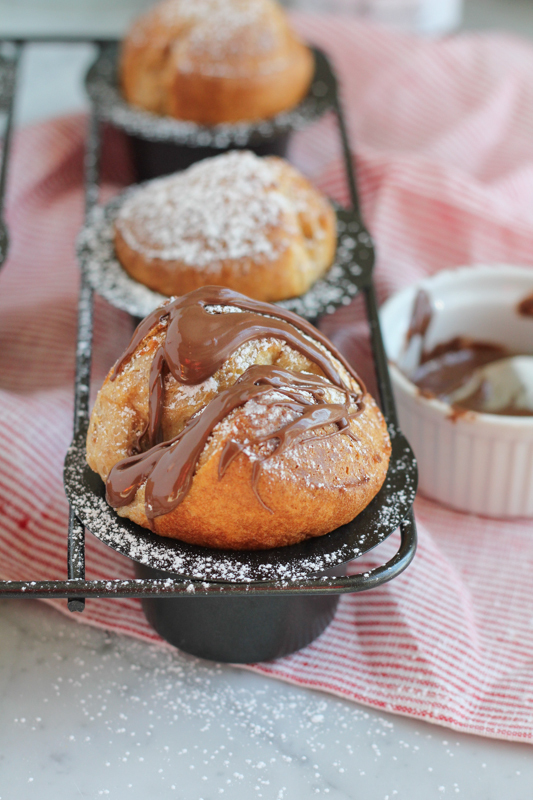 Nice idea Alice.. these cinnamon sugar & nutella pop overs look like pure decadence! Oh no! I don’t need any more reasons to eat Nutella 😉 It is seriously my weakness. These sound amazing. Dear Hipfoodiemom, I definitely need the popover pan you’re giving away!! It’s the only thing my kitchen is missing. I promise to send you one of my popovers. I have a crazy sweet tooth so I definitely prefer sweet! 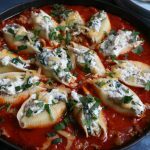 I definitely need to get around to trying these – and the pan would be so helpful! I am all about the sweet! Popovers are a favorite special breakfast here, but I’ve never made flavored ones, just good old regular eggy delicious mini-popovers, which we have with butter and jam. Your cinnamon sugar version looks so good, though, that I think I’ll be making a batch of minis (because that’s what size my pan is) soon. And who knows, I might even go nuts and try your cheese and chive popovers, too! Thanks, Alice. Can you believe I’ve never made popovers? With Nutella…this is genius. I’m totally coming over for one! You girl are killing it with the popovers! They really are so amazing aren’t they?? Easy, light and luscious! Love it Alice! I would always pick the sweet before but now because of my health I try to always pick the savory. I am learning that they can be just as satisfying! Can I say both sweet and savory? 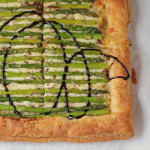 I lean towards sweet but I’m getting more curious about savory recipes (even savory crepes). I’ve never attempted popovers before and I’m not intimidated by the recipe, it seems simple enough! Aren’t popovers just so much fun? 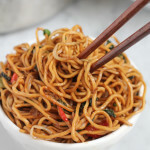 I’ve always made savory ones and never thought to try sweet. I love that you did it with Nutella! I love popovers. As a child my mom would make these for breakfast. The homemade jellies and butter were AWESOM on them. 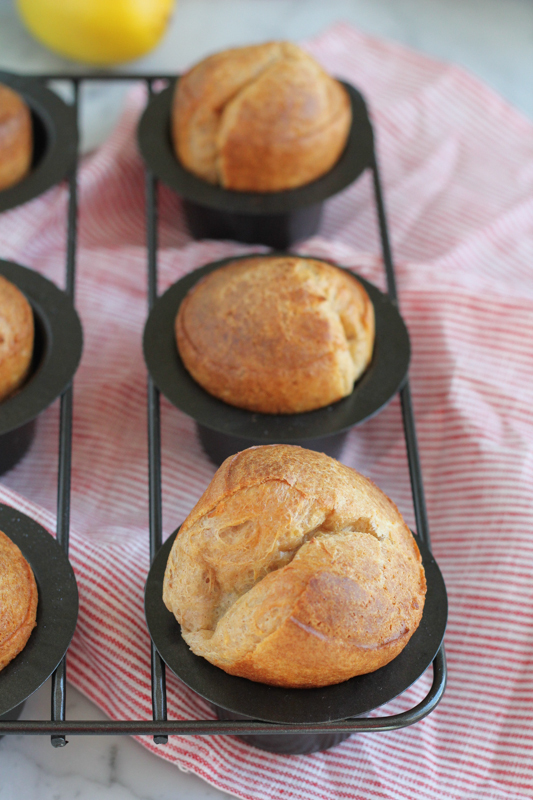 Would love to have a popover pan , I use muffin tins. I can’t wait to try your sweet ones. But I think I like the savory ones the best. Oh, My! I just realized that I never made anything popover, yet. (I have eaten many times, though) What’s wrong with me? 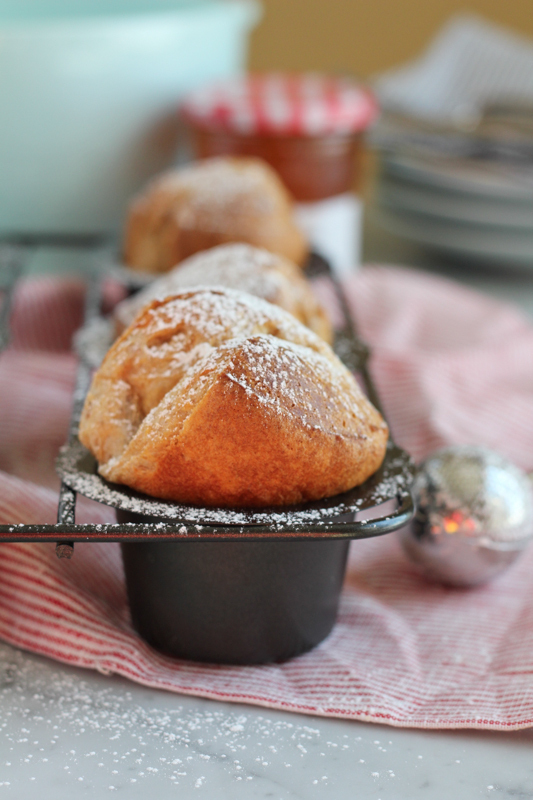 Your cinnamon sugar popovers looks gorgeous. My kids will go nuts over. Sweet vs Savory…., that is a very very difficult question to answer for me. But since I am drooling over your sweet popovers, I would say “sweet”. I might change my mind tomorrow, though. Haha! Hands down: Sweet! I love savory, too, but I have to admit anything with the words “cinnamon” and “sugar” in it will get me every time! So after trying my first popovers ever Tuesday (your Cheddar Cheese and Chive) and just now eating one of these Cinnamon Sugar ones, I will say I enjoyed both…but savory wins for me. It just had so much flavor and made me think of a billion different things I could add to the batter! And who can say no to cheese? I just made popovers for the first time last week and loved them!! This sweet Nutella version looks amazing! Pinned! both are good, but I definitely have a sweet tooth! Usually savory but I’m expecting and want sweet all the time!! 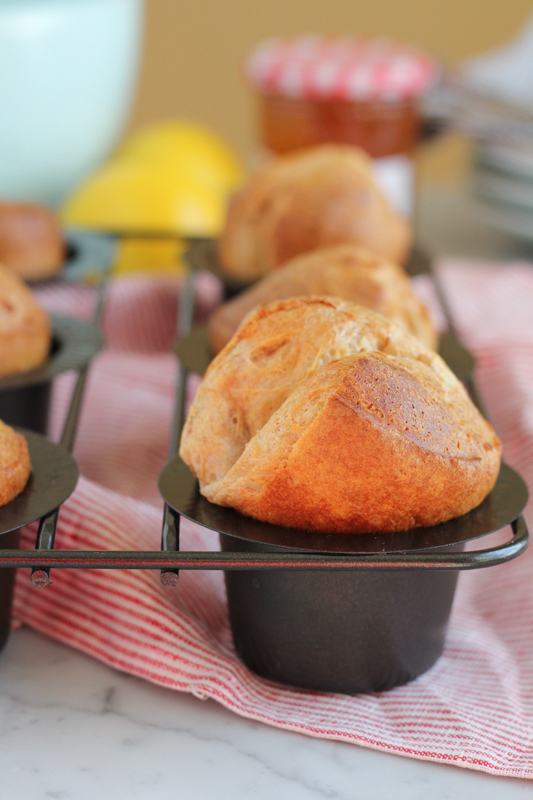 Alice, I love my popover pan – and popovers are like one of my favorite things ever! I don’t make them enough, but I love them every single time I do! These look amazing, so they will be pinned for sure! These look fabulous! 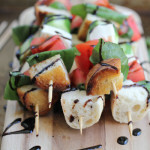 I don’t think I’ve ever tried pop overs, but I can’t imagine anything more delicious than these! Uhm these look like something that need to be in my life! I love a good savory popover, but this may change my mind….nutella?! Yessss! I love both sweet and savory but I think I have to go with sweet thanks to my sweet tooth. These look great! Sweet for me! I love both types, really, I’ve just started experimenting with Nutella so I’ll add this to the must-try list! 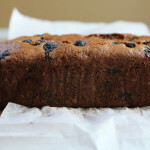 Thanks for the great article and recipe! I cannot wait to try these popovers! I have been looking for new ways to make breakfast more interesting and I think these will be tried tomorrow morning. And I do like sweet, but a savory might be nice as well. And thank you for the chance to win a popover pan! My husband LOVES Popovers. I will give him this recipe to make! Thanks for sharing! After seeing both recipes, I tried both! Both delicious but we are a sweet popover family! Thanks for sharing…I will definitely be making these again!! I love both. any excuse to try another of your recipes. Next up…and only because you say quite confidently…don’t feel intimidated…I will be trying your Springtime French Macarons ( afraid deep down) . The family loved your popover recipe! I’ve been seeing popovers all over the place! I have never made them myself but they look incredible! These look so yummy, but I am definitely more of a savory gal. I would love to make cheesy popovers! Yes please!! Love sweet for sure ~ and with Nutella? . . . Oh my GOODNESS!!! My mom makes popovers, but not often enough. With this set and that great recipe I could make my own! I love me some sweet! Depends on my mood, but right now it’s sweet! I’ve never made pop-overs before, but there is always a first time. These sound easy and delicious. Do you need to add your batter to a hot pan? I thought you had to heat the greased pan before you put your batter in. Could you make these in large muffin pans? Hi Pauline, yes that is a technique that some people follow. . since I used a popover pan, I just greased mine with butter and did not need to heat it before baking. A reader has already baked these in a large (or regular sized) muffin pan and it worked!!! She said they looked a little different but still tasted great! I’m going to try these, in the next few weeks here, in a muffin pan and will test the hot muffin pan method . . until then, try out both ways and see what works. I would try just greasing and baking and see how that goes! Please let me know how they turn out! My very first thing I baked at 8 years old were POPOVERS! I did it in the wee hours of the morning so my mama wouldn’t catch me-she didn’t allow me to cook. I watched them rise up in the oven, sitting on a stool, and I was amazed at how flour egg and milk could rise that tall and leave a hollow steaming middle. It has stayed with me forever, and your awesome popover recipe takes me back, almost 50 years now….thank you. oh my goodness. . Paula! What a wonderful and special food memory!! and you were only 8 years old?!!! Amazing!!! Thank you for sharing!!! It’s been years since I made popovers, but when I made them they were plain. Yours look delicious and I’m a fan of sweets! I am a savory person but I take care of my elderly mother and she likes “sweet” all the way. You inspire me to make popovers – all kinds! (made them once in a cooking class & loved them!) I like both sweet & savory. H E A V E N L Y!!!!!!! What what what?!?! These are making me incredibly happy right now. Alice, you are a sweet genius! I’ve had a lot of savory popovers but I’ve never had a sweet one. They sound delicious! Thank you so much, Jennifer!! I hope you try them! No rising agent? mine came out very dense and did not rise. Hi Misty, yup no rising agent. . if you look up any popover recipe on the web (even Ina’s), no rising agent is needed. 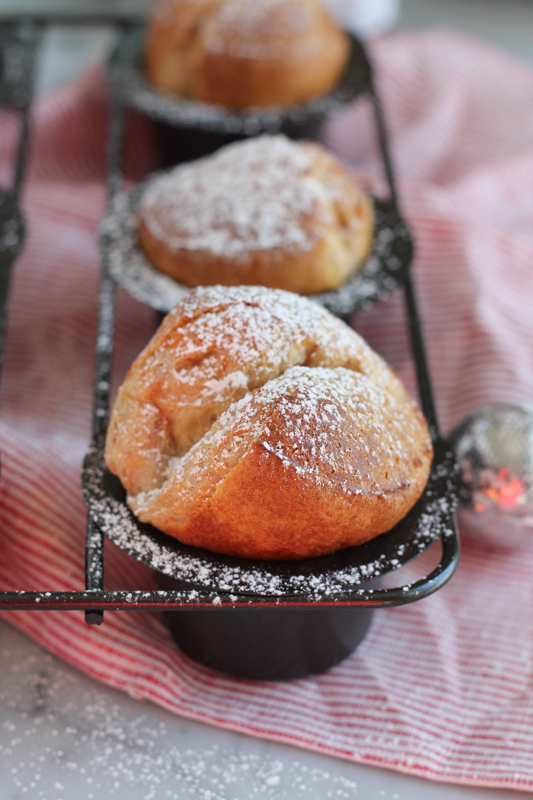 Did you use a popover pan of regular muffin pan? 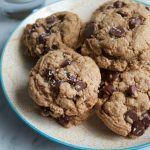 When I make these in a regular muffin pan, they come out denser. But if using a popover pan and following the recipe card above exactly, it works! Starting out at 450 degrees for the first 15 minutes and then lowering the temp and not opening your oven at all. I’ve made these several times now and it works every time. I’m sorry the recipe didn’t work for you but let me know what you used for the pan! These sweet popovers were a huge hit with my sorority sisters! I never had a popover. They look amazing! I think I would like to try both kinds. I didn’t know how easy they are to make. Can’t wait to try it! Gloria, you will love these!! let me know if you try the recipe! Sweet, I have to have a treat of somekind everyday. I limit myself to one. With a family of 8 we go throw alot of treats. I prefer savory. I especially prefer savory with sweet! I love to bake, but have never tried poppers. They look so delicate and difficult, but i may have to try them now. 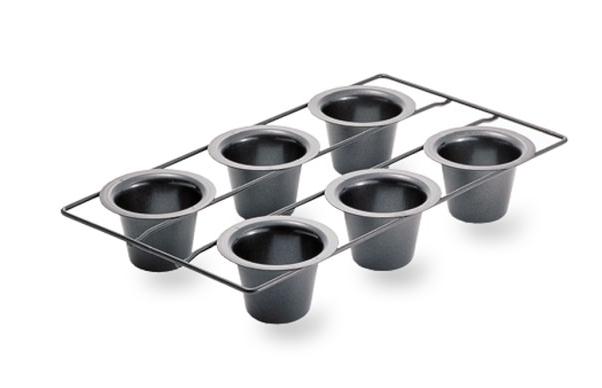 Do I need the special cups to bake them? Hi Carol, it’s recommended to use a popover pan, BUT you can certainly use a regular muffin pan! They won’t look the same and won’t rise as much but will still be delicious! 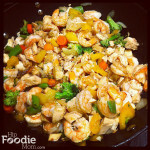 Let me know if you try the recipe! I prefer the savory because I’m such a bread fan. Have not tried a popover pan (haven’t been able to find in my stores) but works in muffin pan. Thanks for the recipes.